The Faculty of Education understands the financial burden placed upon students and has donated 4 tickets to be given away to those people who want to attend Formal but are unable to due to the cost. The Ticket Giveaway is open to all Bachelor of Education students, and requires that you submit an explanation of why you deserve to go to the Education Formal. ** Submissions can be in written format (maximum 200 words), an audio recording, a video or creative visual representation. The deadline for submissions is Wednesday February 28th at 8PM. Winners will be announced on Thursday March 1st. 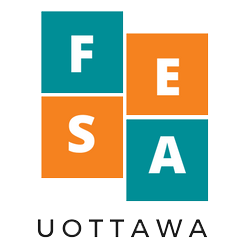 Submissions should be sent to fesauottawa@gmail.com. ** Winners cannot refund their purchased ticket if previously bought, but may give it away to a guest. This contest is open to uOttawa students in the Bachelor of Education program only.